Folk Redlands Inc. is a not for profit organisation run by a dedicated committee of volunteers. Established in 2005, Folk Redlands aims to build a music community, supporting local and visiting artists and lovers of Folk, Acoustic, Original, Traditional or Contemporary music in a friendly relaxed environment. As well as supporting the club, joining Folk Redlands as a member, entitles you to vote for the committee at the Annual General Meeting & participate in the running of the club. To become a member or renew your membership, complete the application form & pay the annual subscription $5 (single) or $10 (family). Download the Membership Form, Pay by cheque or electronic transfer or cash at one of our events. Memberships expire on 30 June each year. Committee Nominations are accepted each year before the Annual General Meeting – usually held in the latter quarter of the year. The committee is a fun group, with meetings held one evening each month. 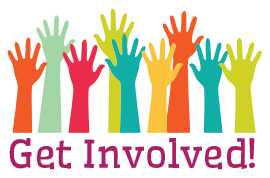 If you would like to volunteer for a committee position, Download the Nomination Form & email completed form to us. We are located at the beautiful Redlands Indigiscape Centre. 17 Runnymede Rd Capalaba (UBD Map 204 K6).